From Kingsman to Smuggler? 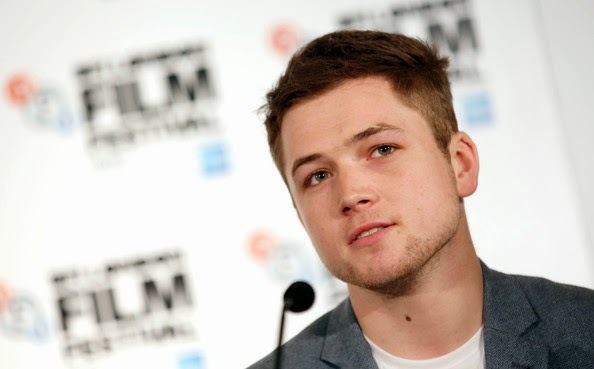 The infamous UK newspaper The Sun is reporting that Kingsmen: The Secret Service star Taron Egerton is being looked at by Star Wars producers as a potential young Han Solo in an upcoming Stand Alone film. This is expected to be the second stand alone film (due out in 2018 and directed by Josh Trank) as The Sun reports that the first stand alone film (due out in 2016 and directed by Gareth Edwards) will be about Boba Fett. "The film will reportedly reveal how Harrison Ford's iconic character got the Millennium Falcon and as well as showing how he fell out with Jabba the Hutt, according to The Sun." Keep in mind The Sun's reputation is sketchy at best so I wouldn't be too quick to buy into this one. I can't say I know much about Taron, but I don't think he looks enough like Ford to really pull off young Han. But then again, he could turn in a great performance.